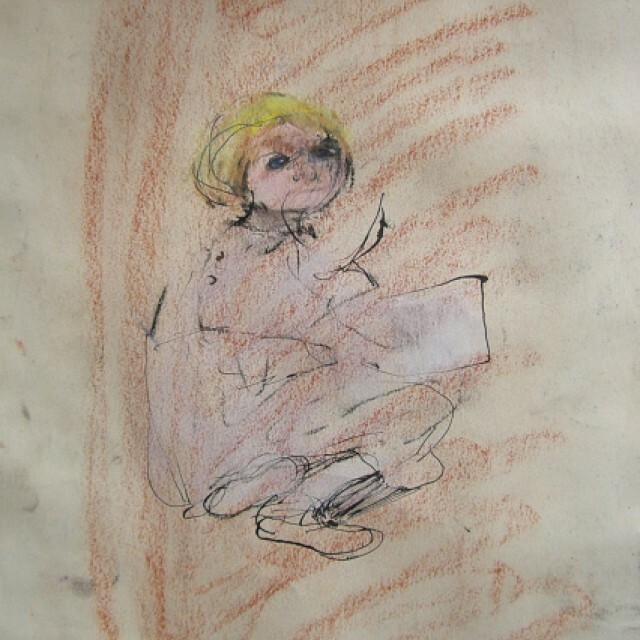 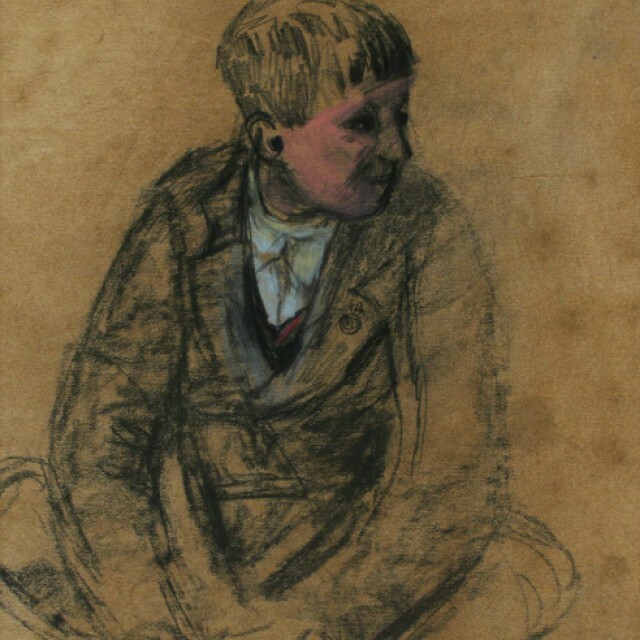 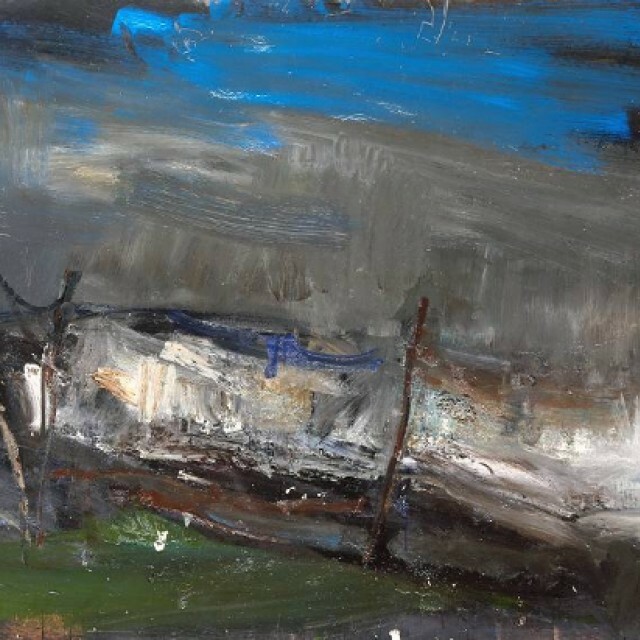 Joan Eardley was born in 1921 in Sussex. 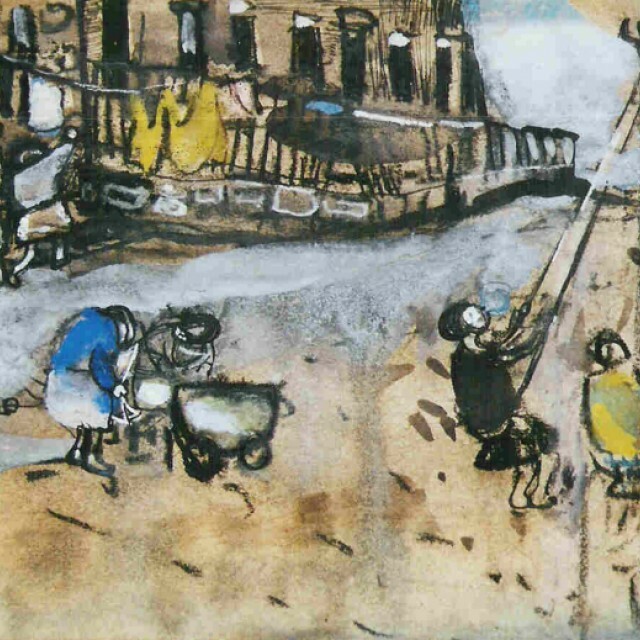 She studied at Goldsmith's College before coming to Glasgow and attending Glasgow School of Art from 1940-43. 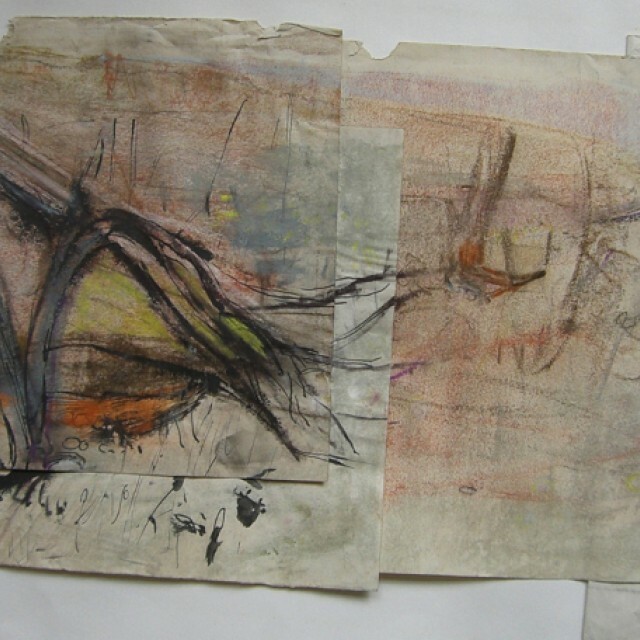 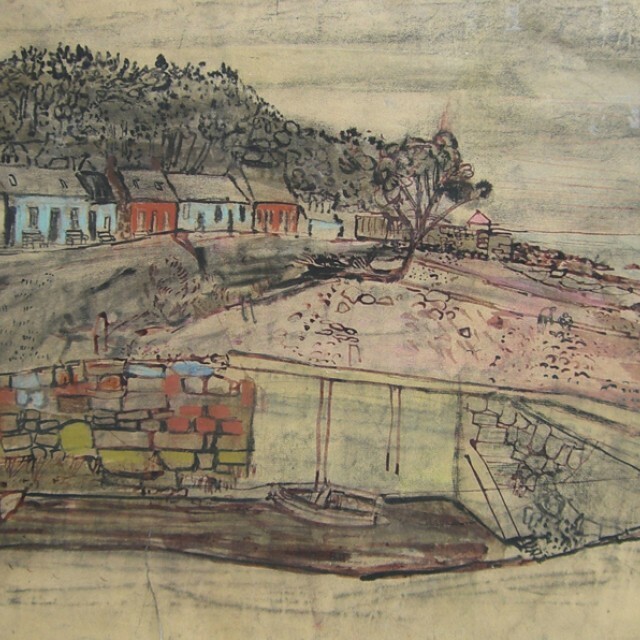 She also studied at Hospitalfield, Arbroath under the artist James Cowie. 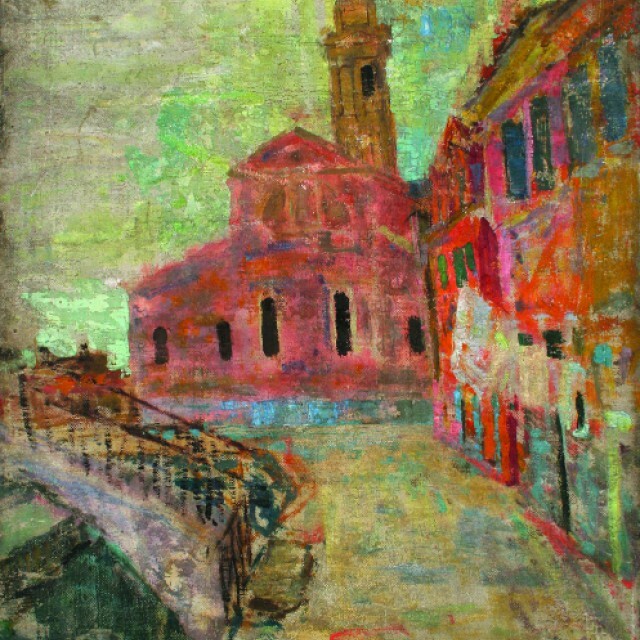 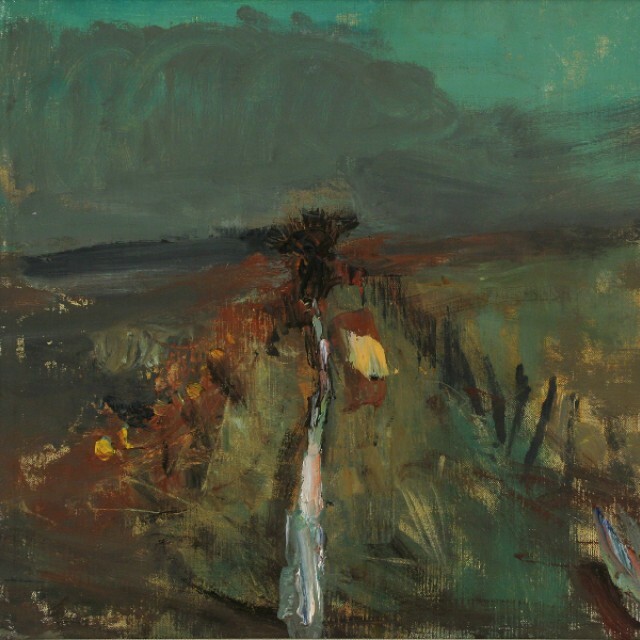 A Post-Diploma at Glasgow in 1948 was followed by two Travelling Scholarships, which took her to France and Italy where she produced powerful studies of peasants. 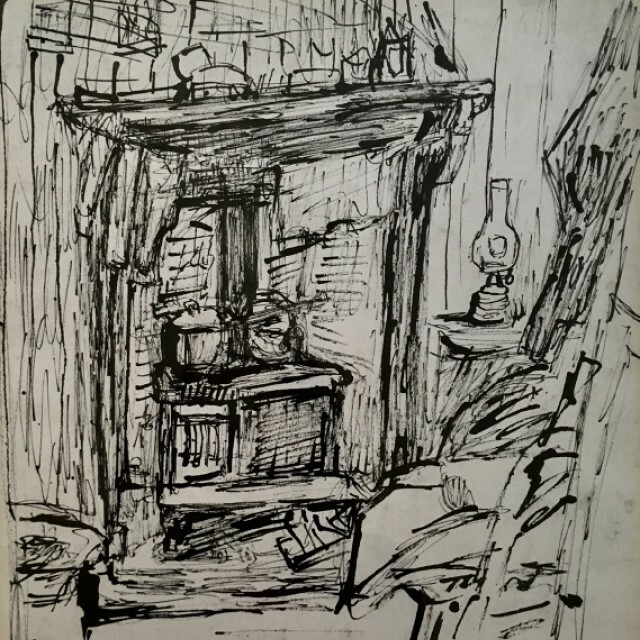 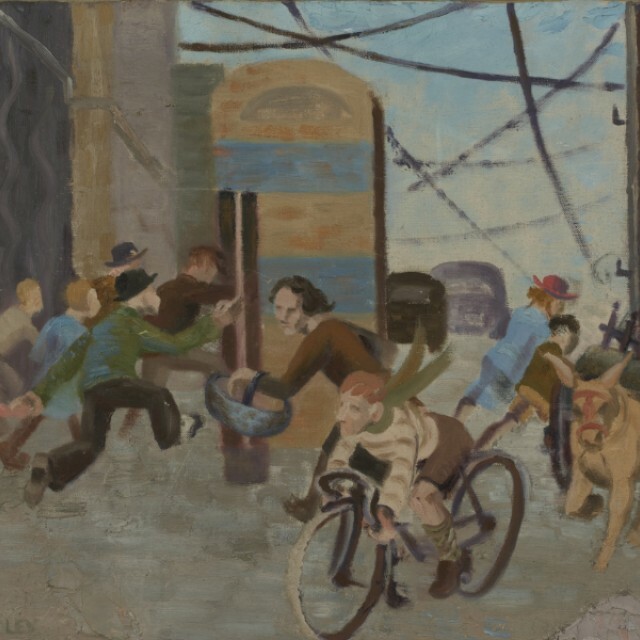 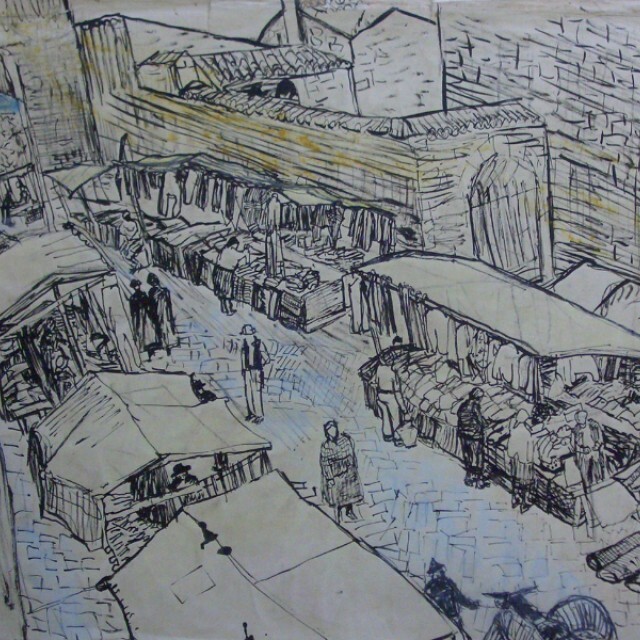 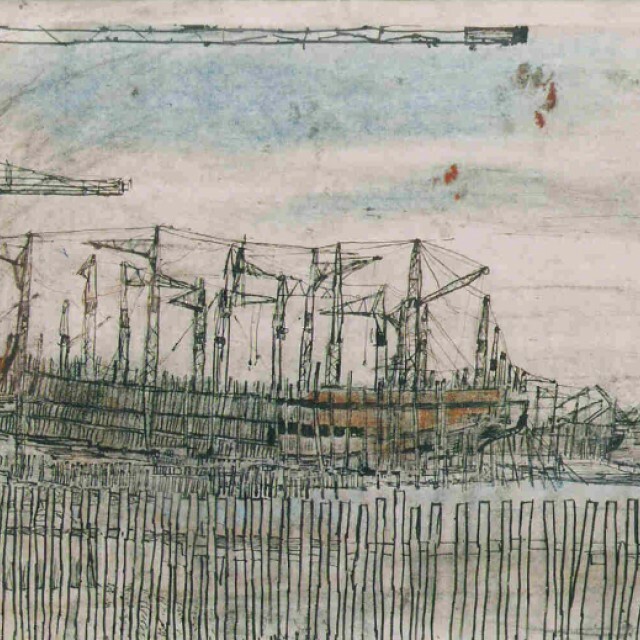 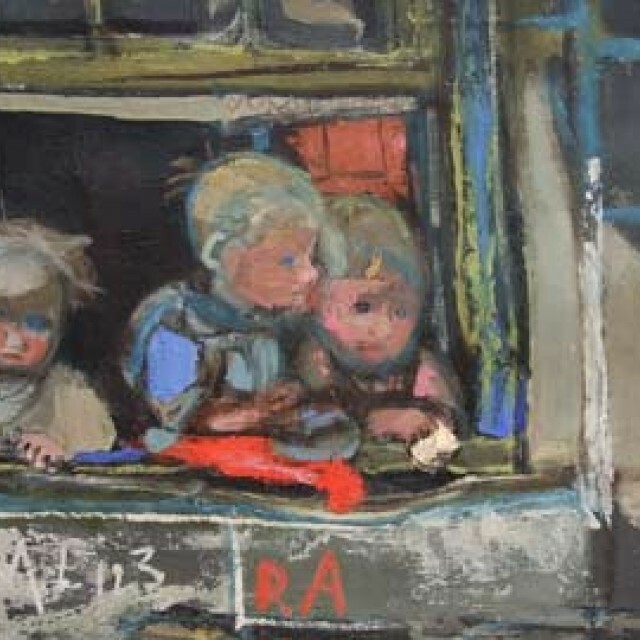 On her return to Glasgow, she set up a studio in Townhead and painted tenement life, including the local children. 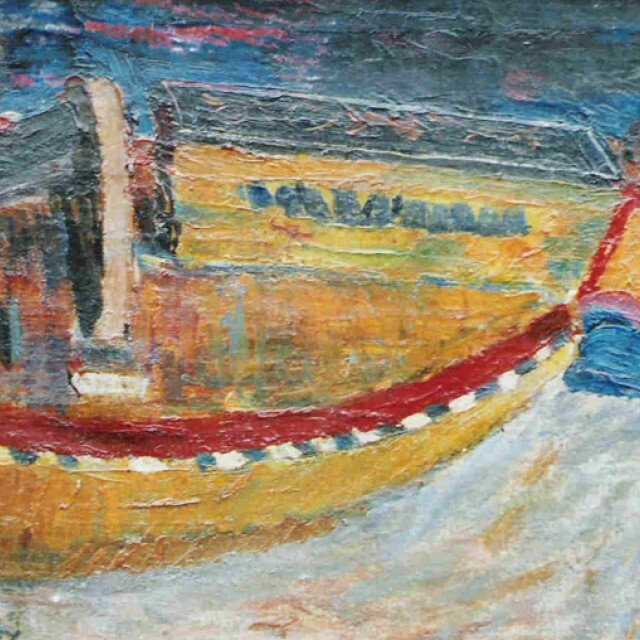 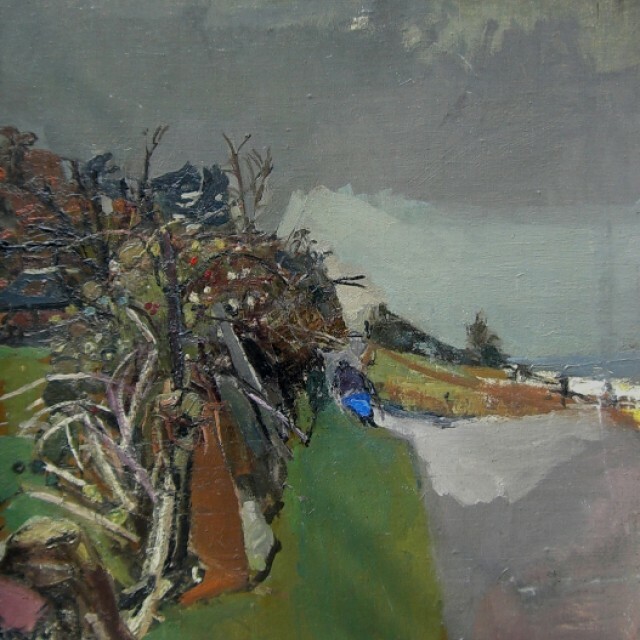 In 1950 she discovered the fishing village of Catterline on the North East coast of Scotland and there, began some of her most important paintings. 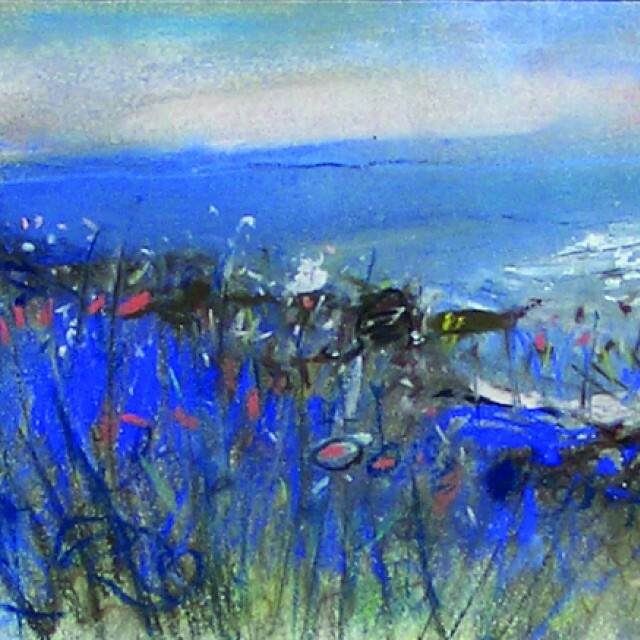 A few years later she moved to a cottage on the cliff top at Catterline. 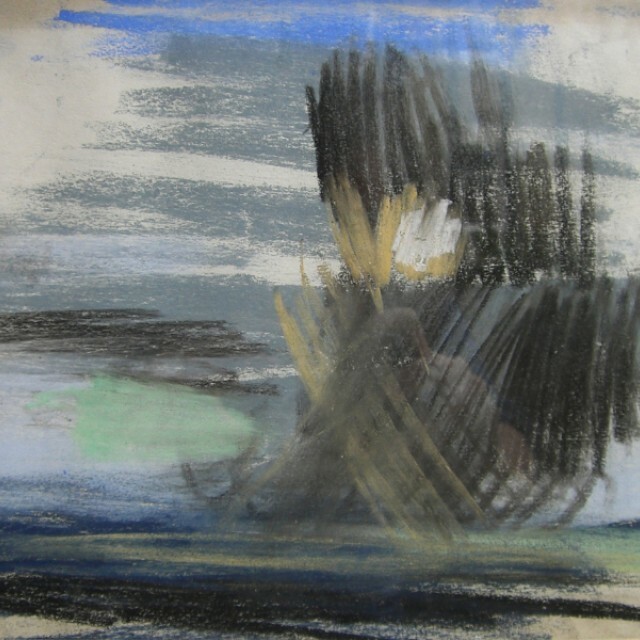 It was there that her style developed dramatically, her great paintings of this period were produced at the very edge of the sea in all weather with expressionist brush strokes conveying the surging power of the sea with extraordinary realism. 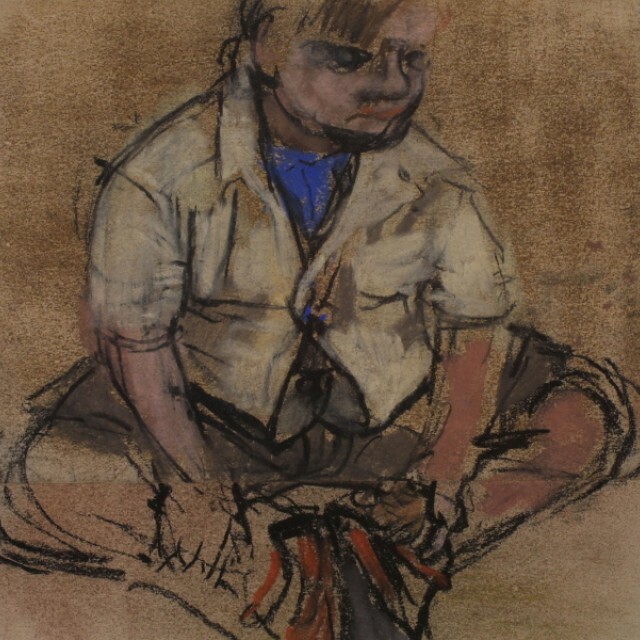 Eardley died in 1963 at the age of 42, only months after being elected R.S.A. 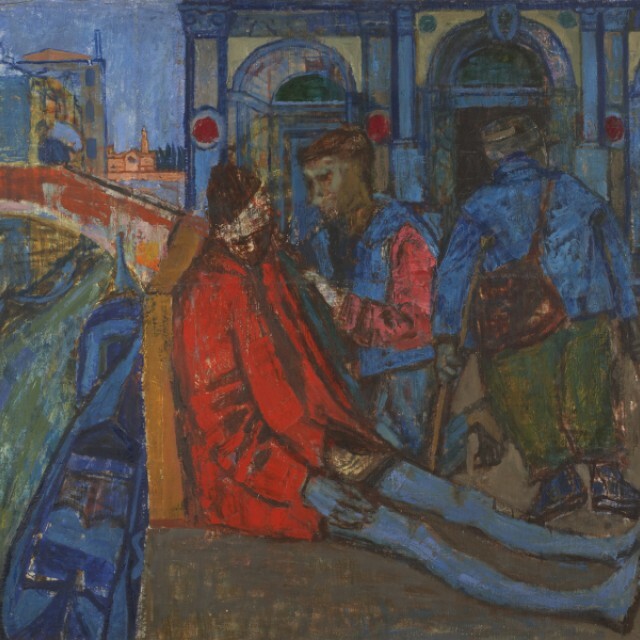 After her death there were several Memorial exhibitions, including one in 1965 at the New Charing Cross Gallery, Glasgow where over 60 of her works were shown. 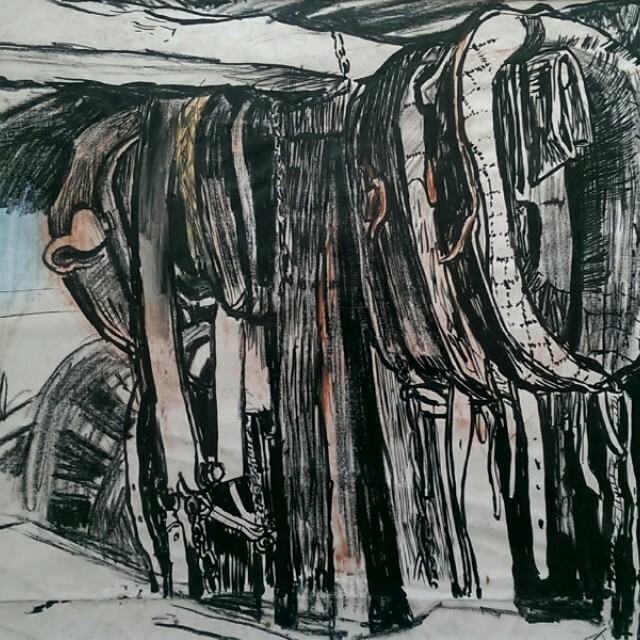 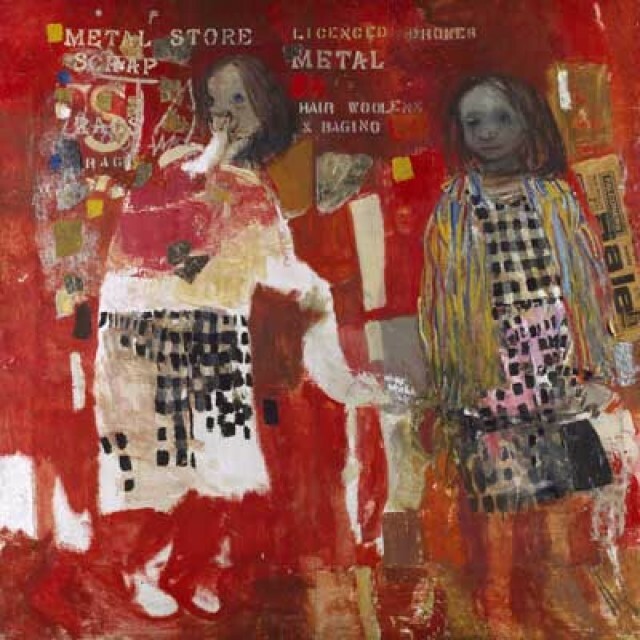 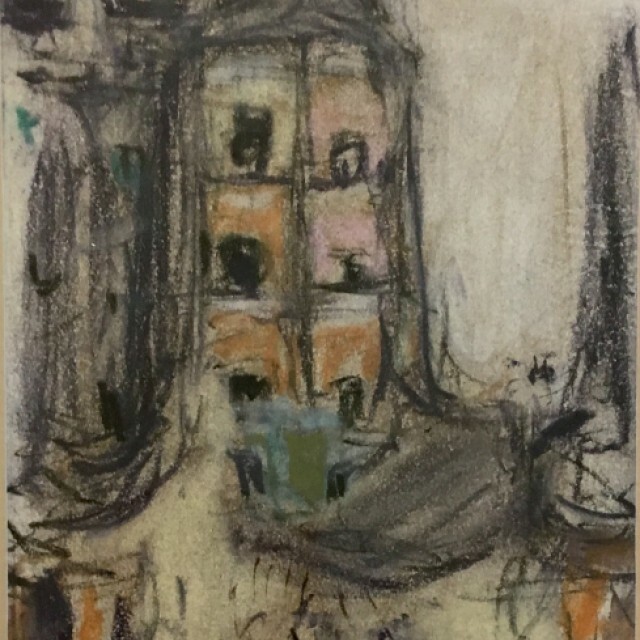 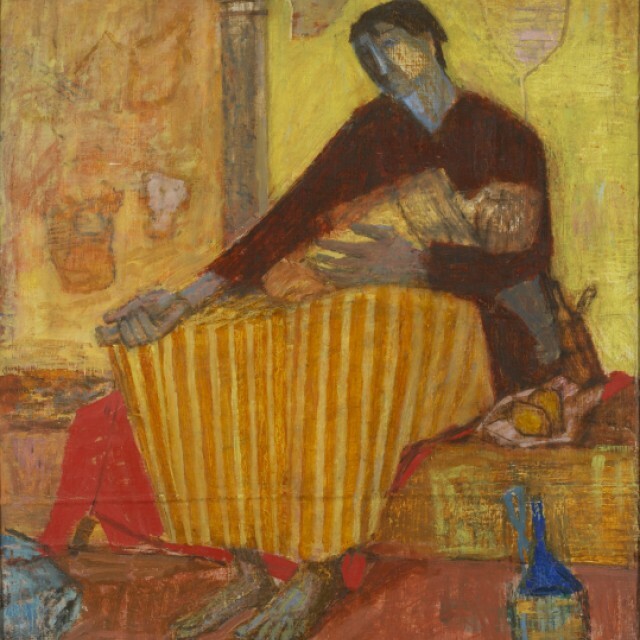 Eardley’s work can be seen in public collections at Aberdeen, Birmingham, Dundee, Glasgow, the Scottish National Gallery of Modern Art, the National Art Gallery of New Zealand, the Tate Gallery, Contemporary Arts Society and many others.